We are so happy to have Coka Klug, Creator of Yogatribe, touring around New Zealand, Bali & Australia sharing what is her biggest gift, Yoga as a Self-Healing Practice. Coka Klug was born in Chile and has travelled the world as a yoga instructor, designer, and artist. Mother of a beautiful girl called Mila, her hometown is a little Surf Beach in North Island, New Zealand. 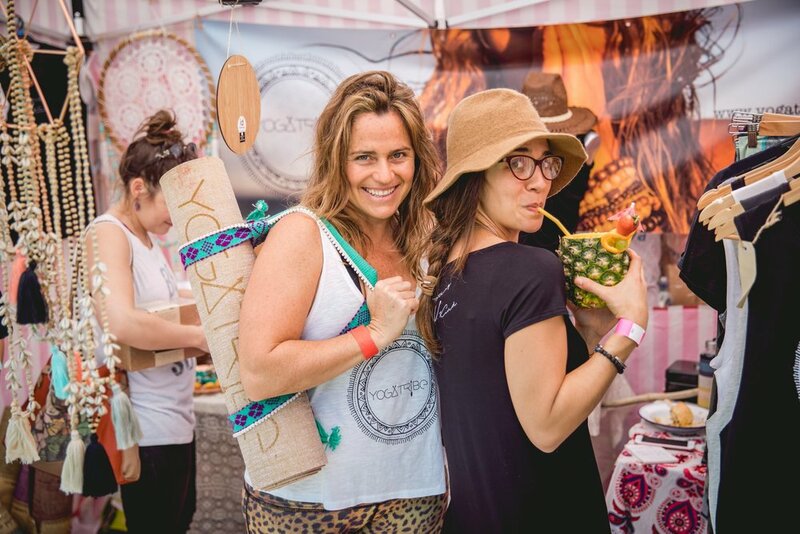 Her gifts, energy and experiences all over the globe have culminated in YogaTribe, a New Zealand based international supplier of sustainable, ethical Yoga products, services, retreats and workshops, especially their signature product, the most stunning 100% Organic Jute Eco Yoga Mat. Coka is excited to share her journey and provide tools for others to live with more peace and achieve a sense of balance and well-being in their daily lives, she will show you how to get access to that place by the choices we make and how those choices can also take you away from that sense of peace... therefore there is something unique about Coka's sharing, her ultimate goal is to help you to understand that there is NOTHING OUTSIDE YOURSELF that will EVER have the POWER to ultimately HEAL YOU; the healing MUST come from your consciousness and your relationship and capacity to direct your thoughts, body and embrace the soul that coexist within you ... Coka will show you in a very simple language and sharing from real experiences how to take home with you, practical tools and BE YOUR OWN GURU from now on, with the capacity to take responsibility for what you have created as your reality and understanding that you have complete power to change whatever is that no longer serving you. Specialize in Body Awareness and severe injuries, Coka's offering will be a gift to yourself and a new way to relate with your body- mind and spirit. When we let go, we drop that which no longer serves us, uncover our essential nature and reconnect. Everything we need for our life journey is contained within. We are innately whole. Unfortunately, over time we have become fragmented and separated due to a lack of awareness, fear, and trauma: we must REMEMBER who we truly are. This is the premise behind the profoundly simple, potent workshop — Remember Me. In four clear steps: Ground, Let Go, Reconnect and Open your Heart — Remember Me allows us to ground solidly within our body, dissolve separation and fears, sync with our higher self, and open our hearts. Coka guides participants on an intimate, inner journey using her gentle, holistic approach to Restorative Yoga and Meditation. If you own a studio, a wellness centre, have a place for sharing or simply believe you and your community will benefit from this workshop please feel free to contact us. We will organise and book you in for the opportunity to receive this beautiful sharing. let’s make this happen!!! thank you for reaching out. I went to the Remember me Mini-retreat on the weekend. What a blissful way to spend a Sunday., It was presented beautifully with a welcoming, cosy and loving energy. I felt encouraged loved and supported to let go and just be there. The food was absolutely delicious. Nourishment of the mind, body and soul. It was so affordable I can’t wait for another one so I can once again bliss out. Last night Coka offered her beautiful workshop ‘Remember Me’ at my yoga studio (Yoga Within -Browns Bay, Auckland. NZ). All 22 souls in the room were deeply moved by Coka’s open, honest and loving delivery of the words she wrote during her own recovery from a severe injury. Everyone of us recognised ourselves in her offering- our tendency toward busyness, our striving, controlling, desiring of more, bigger, better, faster......our disconnection to the free flow of love, connection and joy, so easily accessed when we were young and which can be one distant and forgotten as we age. Thank you for the remembering. Thank you for the vulnerability (in which there is infinite strength). Thank you for the chance to connect, deeply, to ourselves, to others and to the world we are all custodians of. It truely does begin within, one moment of presence and love at a time. Blessings and gratitude for your work. Covering a wide range of categories from Eco Home & Living to Household Products, Health & Beauty to Food & Beverages, ethical investments to Electric Bikes and Cars and even Pets! The Go Green Expo is your one-stop “shop” for everything you need for sustainable living. You will find a large range of diverse companies, brands and services at the show – the expo is dedicated to supporting green businesses across NZ, from tiny new products to household names. Unique opportunities to taste, learn, buy and talk to exhibitors about their products and where you can purchase them. Listen to live, interactive, fascinating demonstrations and presentations. The Better Food Fair - Organics, Paleo, Vegan, Gluten Free, Raw & more. Tried yoga? Want to know why everyone is raving about meditation? Feeling like a day in the sun with the whole family? NZ Yoga Day is a chance for you to bring the whole family to experience the magic of yoga, meditation, live music and community. 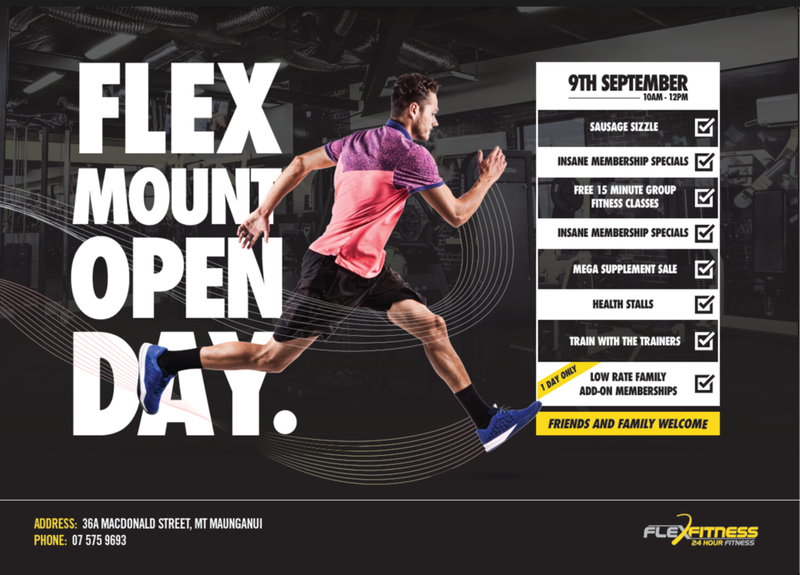 No matter your experience, join us in New Zealand’s biggest yoga class with a twist. DJ-powered stretches, nature-inspired mass meditation, live music, pop up workshops, eco marketplace and delicious food trucks. This event is a proud supporter of the Key to Life Charitable Trust - a community peer support group, aiming to forever change the way New Zealanders think, act and feel about mental health and suicide. This Expo will inspire, empower, educate, connect and entertain women in our region. Think a women’s expo isn’t for you? Think again! Focus on Women invites you to reap the benefits of marketing to women in a fun-filled, interactive environment. This is a fantastic opportunity for you to get your business noticed and for you to connect with your ideal clients and put you and your business on the path of growth. Women are responsible for making at least 80% of the purchasing decisions for the entire household – this will be the opportunity for you to meet them face-to-face. Focus on Women will be the ultimate expo for launching new products, generating sales and leads, maintaining close customer relationships and keeping your business top of mind. YogaTribe® will be there offering our entire range of products & Coka , our brand Director will be sharing her love and passion for Yoga with the community with a introduction of Yoga class Saturday 1:30 pm and Sunday 10:30 am. 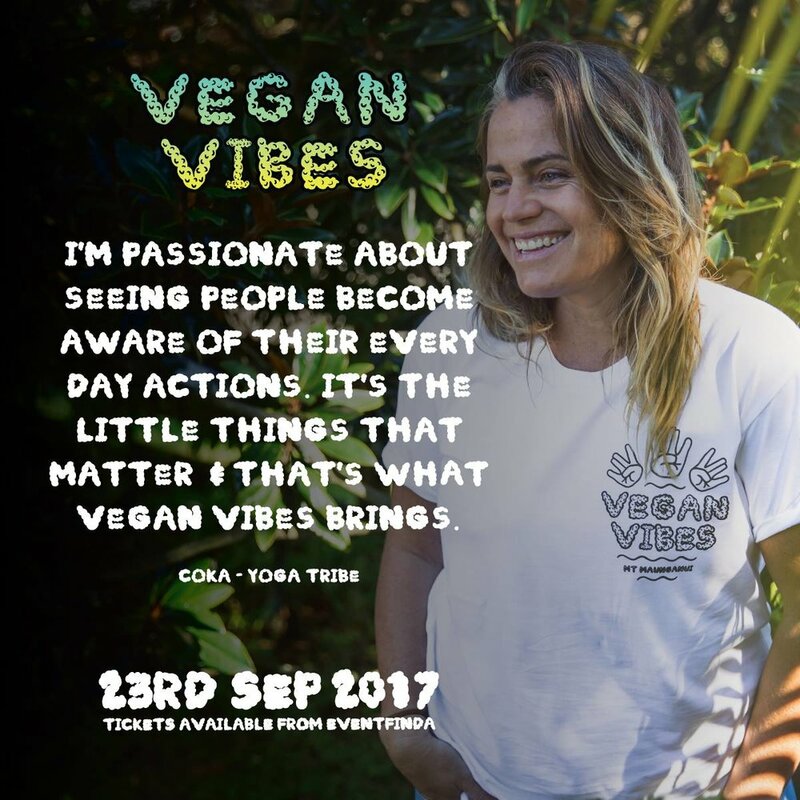 https://www.eventfinda.co.nz/2018/vegan-vibes/mt-maunganui ... be sure to avoid the door sale queues. All kids under 13 get in for FREE. This work is incredible!!! we can't be more honour to host this beautiful tribe members, citizens of the world, they come to our Town to share their magic. And event to not be missed. Atlas brings 'Open Form' to Tauranga with a 2 day creative embodiment intensive, (running for 10 hours across Saturday 7th and Sunday 8th July). The workshop is aimed at those interested in flow state, yoga, meditation, physical theatre, the sacred clown, holistic wellness, fitness, rewilding, chaos magic and creative expression... and of course martial arts. Participants will be guided through embodiment practices which connect them with their own bodies and all that flows from a playful approach to Life. Over the 2 days participants will have the opportunity to experience Atlas' unique form of martial arts which is inspired by many modalities and aspires to establish a holistic personal practice. His approach aligns with the traditional lineages of martial arts, which reach far beyond just being 'fighting sports'. If you wish to enter the creative state, develop a sense of flow, open to your warrior self and foster your natural capacity to communicate with your own body THIS IS THE WORKSHOP FOR YOU! We arrive and orient to the space; setting an intention for a respectful yet raw, authentic and playful session together. Through exercises in sensory awareness we drop into the body and cultivate the presence and openness to respond in the moment and allow the shifts across an array of emotional / physical states. Through physical theatre, clowning, free flow poetry and intuitive drawing we enter a state of flow and appreciation of the silly, the beautiful and the profound. Aligning breath with freeform movement, we begin to play with the energy within us. This session also covers partner work and self-defence. We cool down with some stretching and an introduction to acupressure and intuitive massage. Building on the Play Chi session from day one, we continue with flow-based movement, contact improvisation and playfighting, establishing the foundations for our physical practice. Through meditation, chakra clearing and rebirthing breathwork we reclaim our natural capacity to heal our own bodies and open our perception to the spiritual aspects of Martial Arts. Participants will be invited to share their learnings and developments with family and friends as ALL ARE WELCOME to the performance on the second day. Atlas will also present some sensory stories with his unique style of interactive theatre and collaborations with local artists are most welcome too! JOIN US FOR OUR INTERNATIONAL YOGA DAY CELEBRATION! Please bring your yoga mat. Born in Chile, YogaTribe owner Coka Klug has travelled the world as a yoga instructor, designer, and artist. Her energy and experiences have culminated in YogaTribe, a New Zealand based international supplier of sustainable, ethical Yoga products, services, retreats and workshops, especially their signature product, the 100% Organic Jute Eco Yoga Mat. Coka is excited to share her journey and provide tools for others to live with more peace and achieve a sense of balance and well-being in their daily lives. A very unique festival that explores what connects us to ourselves and each other. Creating events that inspire and transform our selves to a more conscious and connected way of being. Join us in creating artful celebrations in service to the liberation of mind, body and spirit, so that many beings may benefit even more from our living and loving. Inspired by the growing community around conscious living, Spirit Festival & Retreats will empower us to create the vision that we all share. The Byron Spirit Festival & Spirit Retreats will bring together leading yoga teachers, tantra masters, musicians and healers from Australia and abroad. Biophilia is a three-day gathering bringing us together to explore our human potential. A diverse team of educators, practitioners, artists, and musicians will offer their gifts as part of a radically inclusive festival experience near Queenstown. During the weekend, expect to be guided into pristine nature, playful practice, and mindful connection. Feel, move, strengthen, and rebalance yourself using the arts of natural living. LoveLake Festival 2018 brings a weekend of yoga, meditation, mindfulness, music and aroha to Taupō’s Wairakei Resort. A humble, fresh offering to the New Zealand Yoga and Mindfulness community will take place at Taupo’s Wairakei Resort from the evening of Thursday 8th March to the afternoon of Sunday 11th. LoveLake Festival will feature an amazing lineup of 23 teachers and artists from across New Zealand and all around the world. Join us for New Zealand's 7th International Yoga Festival! Following the success of our previous festivals, and due to popular demand, we're so excited to announce that we've extended the celebrations and added an extra day, meaning we now have four days of fun filled workshops, activities, talks and yoga classes for you to get involved with. Our theme and focus for 2018 is 'Embracing Your Inner Mastery' and we aim to stay true to the authenticity and integrity of each and every aspect of Yoga and the every growing space of spirituality surrounding it. To achieve this, we're giving the festival more time and space for a deeper immersion of practices and transformations and are thrilled to have international presenters and guests joining us to help make the event even more engaging, traditional and inspiring. Once again we're proud to be hosting the festival at Kawai Purapura, only 20 minutes from the center of Auckland, yet located in the heart of 19-acres of beautiful, tranquil native bushland where you will be able to fully switch off from city living and immerse yourself in everything on offer. Over the four days, you will have access to over 100 entertaining, inspiring, moving and thought-provoking workshops and activities as well as a range of yoga classes covering every style from mindful meditations through to SUP Yoga and Aerial Yoga taster sessions. Re-member me : a juicy restorative class where we give time to remember what we have forgotten. We are so happy to announce that we are introducing our products to USA market at the end of April 2018. Tauranga’s Christmas in the Park is our annual community focussed Christmas fundraising event! Our aim is to create a great opportunity for the community to come together before Christmas and enjoy a full day of entertainment. We want to encourage community spirit and ‘giving back’ so enable us to support local charities and communities group who are working with families and children. For a gold coin entry you will get to enjoy a pre-Christmas event filled with live music, performances, arts, craft and artisan food/drink. Wanderlust 108 is a field day for your inner child. Hold the plastic trophy, because we have better prizes: a full day of self-awareness and inner peace with a vibrant community. Community instead of competition? There’s nothing better than that. This is a 5K (+/-) your way, so don’t sweat it. Or do. Run or walk, prance or skip, stroll, or strut—we don’t mind. Just make it to the finish line. 75 minutes of DJ-powered yoga will get you in the mood to flow. That’s the Wanderlust way. Whether it’s your first or 500th time on you mat, you’ll find your true rhythm. Bliss out in a group meditation to clear your mind, relax your body, and complete the mindful triathlon. The day doesn’t stop there. Stop by our Kula Market with local vendors, head to your scheduled activity, and drop by a bonus activity or two, should your heart desire. At Wanderlust, our mission is to help you find your true north—to lead a healthy & inspired life. Wanderlust Sunshine Coast, set amongst a tropical paradise, is a step down that path. Choose your own adventure with multi-level yoga and meditation sessions, mouthwatering local organic dinners, heart-pumping music, inspiring lectures and workshops, and outdoor activities from SUP to camping + glamping, under the sunny Queensland skies. FEATURING: Arrested Development (ONLY QLD SHOW), Toni Childs, Sarah Wilson, Janet Stone, Duncan Peak, Mashd N Kutcher, Briohny Smyth, Amy Ippoliti, Sol Rising, Dave Stringer, Luke Egan, Tom Cronin, Lee Holmes, Ron Artis II, Joe Cross, Luke HInes, Dice Iida-Klein, James Colquhoun, YogaSlackers, Michelle Cassidy, Kat Harding, Wes Carr, Julie Smerdon, ARLI, Noelle Bonnolly, SpinJoy, R.I.A., Fee Zard, Lara Zilibowitz, Felicity Evans, Chara Cauthers, Dearbhla Kelly + so much more! The Alchemy begins! We have so many talented artists coming together for this years Island Elements Festival! Island Elements is a unique 3 day lifestyle festival, featuring a balance of rejuvenating and interactive workshops, world class musicians & entertainment, as well as a vibrant market village. Through a series of cultural dance and yoga workshops, inspirational talks and uplifting evening concerts, be encompassed by the island spirit and immerse yourself in community and culture in a holistically nurturing environment. This intimate island gathering is your time to activate, rejuvenate and celebrate life. Take a stroll through the luscious island, meet new friends, engage in expansive and deepening activities, dance, heal, swim, relax and unlock your hidden potential. Island Elements is an intimate boutique event and with only 400 tickets available. Island Elements is the weekend after the Island Vibe Festival and we are partnering up to provide a special Double Festival pass for $335. More information on this offer is on our Ticketbooth Page. Island Elements is held at the beautiful Home Beach situated at Adder Rock Campground on Minjerribah, North Stradbroke Island. Minjerribah is just two hours travel from Byron Bay and the Sunshine Coast and is accessible by public transport from Brisbane. Vegan Vibes is back in action for 2017! We're the Bay of Plenty’s first dedicated Vegan festival. We will showcase a curated selection of vegan food, food products, body & leisure products, fashion, footwear and much more from around the country. Alongside this we will be featuring guest speakers, workshops, giveaways, music and entertainment, so there will be plenty for the whole family to enjoy. For those that came last year we can't wait to see you again. And for first timers..this is the vegan event you won't wanna miss! Tickets online for International YOGA Day and Winter Solstice - 21 June 2017. “What you seek is seeking you." - Arohanui Rumi. The Byron Spirit Festival is a revolutionary event that unites the worlds of yoga, music, dance, tantra and indigenous arts to invigorate body, mind and soul and inspire positive change from within. Set over three days in picturesque Mullumbimby, this unique celebration features both local and international facilitators including some of Australia’s most well known yoga teachers, artist and musicians. Combined with a complete selection of workshops, the festival also presents an eclectic selection of musical offerings featuring recognized artists from the world. A very special exploration to what connects us to ourselves and each other. Creating events that inspire and transform our selves to a more conscious and connected way of being. Join us in creating artful celebrations in service to the liberation of mind, body and spirit, so that many beings may benefit even more from our living and loving. Inspired by the growing community around conscious living, Spirit Festival & Retreats will empower us to create the vision that we all share. The Byron Spirit Festival & Spirit Retreats will bring together leading yoga teachers, tantra masters, musicians and healers from Australia and abroad. Click in the photo for more info. The BaliSpirit Festival is a spiritually charged event that celebrates yoga, dance and music and the merging of East with West cultures through the arts. Held over 7nights and 5days, BaliSpirit Festival combines more than 200 workshops and World Music & Dance Concerts and Performances to a targeted, passionate, and enthusiastic audience of over 6,500 people. The majestic outdoor festival grounds are located just outside of Ubud, and truly embody the spirit of Bali. Join us in 2017, be a part of something that will change your world! Click here to BUY YOUR TICKETS!!!! Are you looking for the opportunity to tap into your authentic self and to connect with your inner being, like-minded individuals, and the surrounding Divine in a profound way? Do you seek to transcend past your Ego and find new gratitude and love within Your Heart? Do you want to create the change forever, clear your current space to invite new perspectives inwards, and manifest your passion and true calling in life? There is incredible power when we come together with shared intention. At the 2017 International Yoga Festival we are gathering together for transformation, for a “Revolution of the Heart”, where we are making space for evolution by connecting to the source in a deep way. This is possible when we become Yoga. Yoga teachers from around the world have been selected for their ability to create space where we can experience Yoga as an evolutionary way of life, as ecstatic aliveness, as radical freedom beyond the boundaries of our conditioning. New Zealand’s 6th Annual International Yoga Festival is set in Kawai Purapura, located in the heart of the beautiful and tranquil 19-acre native bush where you will have access to a magical three day weekend of yoga and wellness for all ages. This festival presents an opportunity to transcend our sense of separate self and evolve together into deeper inspiration and creativity, a pure field of potentiality where we reclaim our Divinity and open up to new perspectives. The moment we transcend, we are touched by something profound. This moment can change us forever! 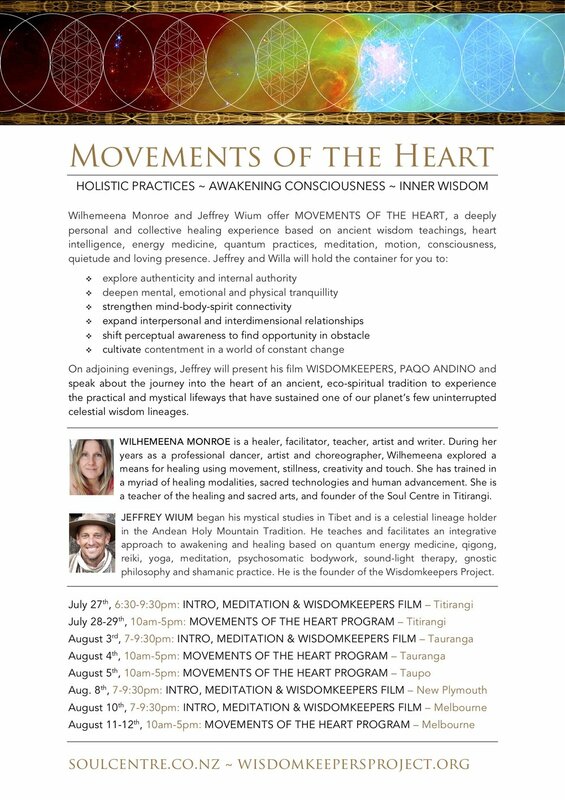 The visitors of our International Yoga Festival will have access to 100 inspiring, touching, and transcendental workshops and activities from world-class Local and International teachers inviting you personally into sharing their secrets of how to reform our current conditioning so that we can unleash, surrender, embrace the power of our Hearts. This will provide us with the freedom to intrinsically manifest our ideal life to become a reality, remove the boundaries, be completely in the present moment, and blossom with an ecstatic aliveness. These workshops and classes cover the full range of yogic practices, from silent and mindful meditations right through to dance-yoga, aerial-yoga and paddleboard yoga. The Festival starts on Friday at 4.30 pm. Come and be part of our yoga family and celebrate the Revolution of the Heart with us at the Opening ceremony, this will be followed by live music. Saturday and Sunday will continue with lots of workshops and kirtan concerts, and Sunday around 6.00 pm will conclude with the Closing ceremony. • Market Village We have are featuring stalls at the festival with a diverse range of products ranging from soaps to jewellery to crystals to yoga gear, and much more. There will also be a number of information stalls from numerous different natural healing companies. • Fresh Vegetarian Food is catered by our in-house chef, featuring vegetarian, vegan and gluten-free options. No off-site food is allowed but there are plentiful options of food stalls open throughout the day. • Festival Updates are continually being made, including presenter and workshop information. Visit the festival website and Facebook page for the most accurate information. • Refunds will not be issued for ticket sales. We recommend reselling or regifting the ticket if you can no longer attend. Save $50 on a weekend festival pass with our Early Bird rate which can be purchased through Eventbrite. Unplug from the ordinary. Adventure awaits. 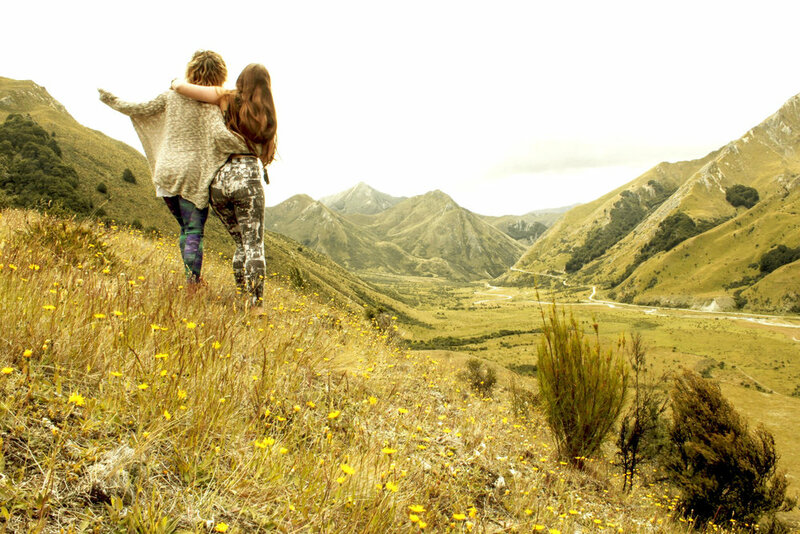 Wanderlust Great Lake Taupo is a 4-day celebration of mindful living. Join a remarkable group of yoga and meditation instructors, musicians, speakers, chefs and attendees for a transformational experience at the world's most beautiful mountain resorts. Explore new ideas, make new friends, discover new abilities, and dance your heart out. Adventure awaits. FEATURING: Ladyhawke, Elena Brower, Rod Stryker, Norman Jay (MBE), Eoin Finn, Tiki Taane, DJ Drez, Yoga with Briohny, Dice Iida-Klein, Megan May from Little bird organics & The Unbakery, BePure - Ben Warren, Weird Together, ARLI, YogaSlackers, Elijah Ray and the Band of Light, Ji Living - Swami Govindananda, Nikki Ralston, Lara Zilibowitz ॐ, Yoga Kiss (Kat Harding), Daniel Scott Yoga, Wu De, SWEET MIX KIDS, Taane Mete, RIA, Franko & The Gaya Tree + more.